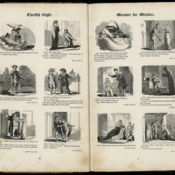 These nineteenth-century wood engravings with captions demonstrate a type of storytelling akin to today’s graphic-novels. 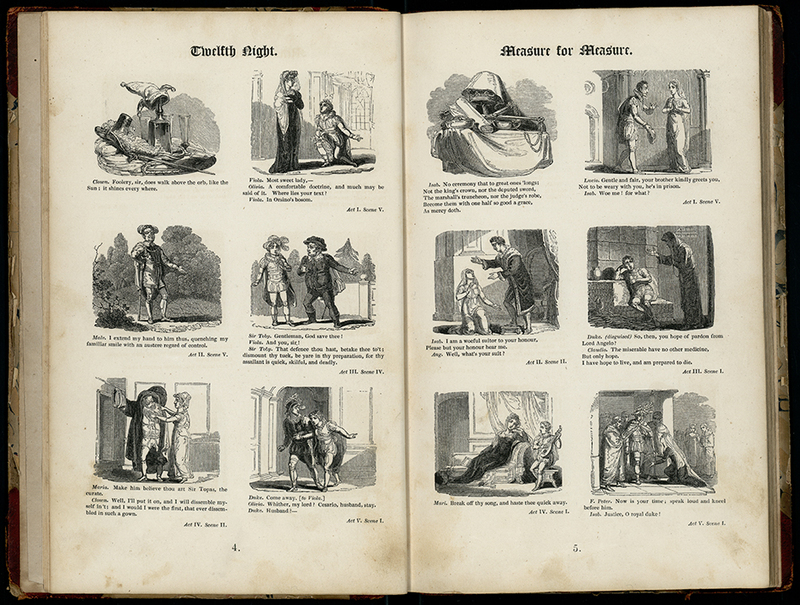 Every play has six vignettes with a line from the play followed by scene number. Thurston, John, “Illustrations of Shakspeare [sic],” UM Libraries Digital Exhibits, accessed April 22, 2019, http://scholar.library.miami.edu/digital/items/show/474.